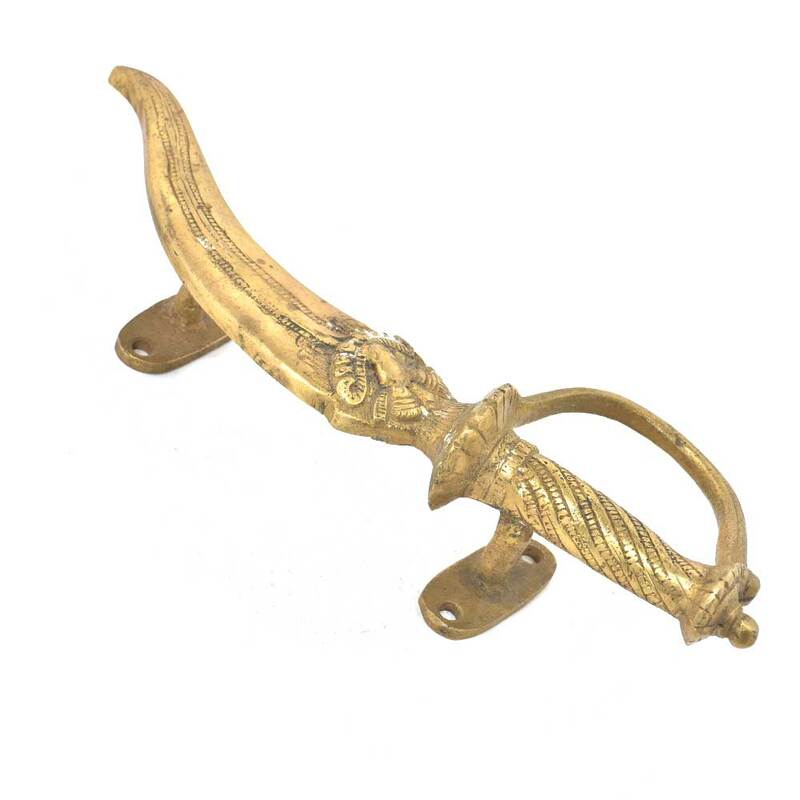 Dagger door handle is made of brass and is handmade by the skiled artisans of India. 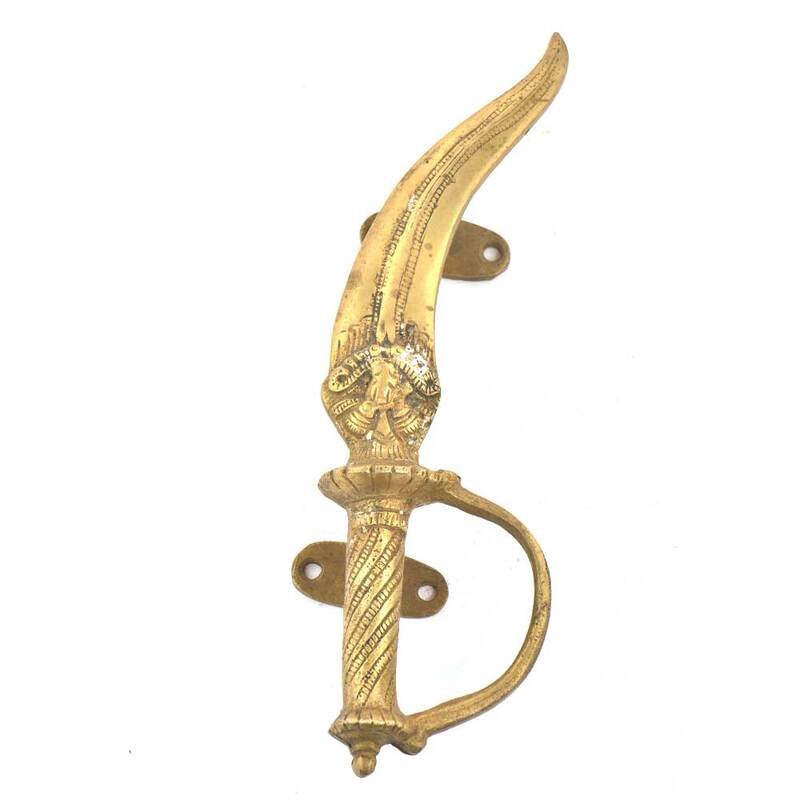 The dagger door handle is has fine engraving from where it is held. Height : 10 Inches approx.